Just a few days ago, Greece's Prime Minister Alexis Tsipras made a strong statement against the Albanians, saying that the Cham Sssue did not exist when talking about relations between the two countries. But relating to this statement, Tsipras received a strong response from the Albanian historian Elena Kocaqi, who has 'shocked' the Greek world, as he has called the Greek Prime Minister Tsipras as a 'Cham'. "This is an arrogant statement of a Cham that has become modern Greek," said Kocaqi. Further, she writes that Greece has its own native population of Arvanites, Albanian-Macedonian and Cham, and that if the Albanians wants and get organised, have the Greece in theyr hand, so they should forget the arrogant threats. 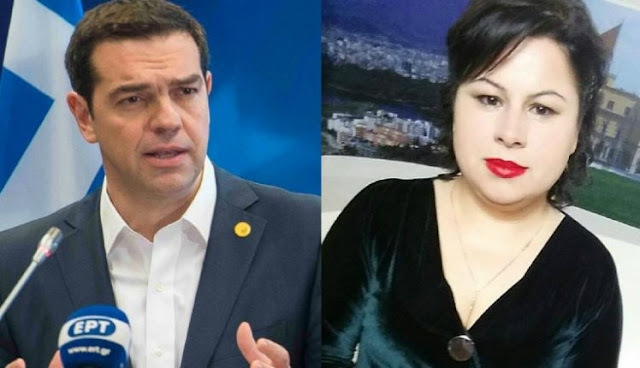 "We want ethnic rights for most of the Greek population that belongs to Albanian blood and that artificial and ridiculous Hellenism has denied all ethnic rights," wrote Elena Kocaqi. Her statements spread fuss in Greek media.